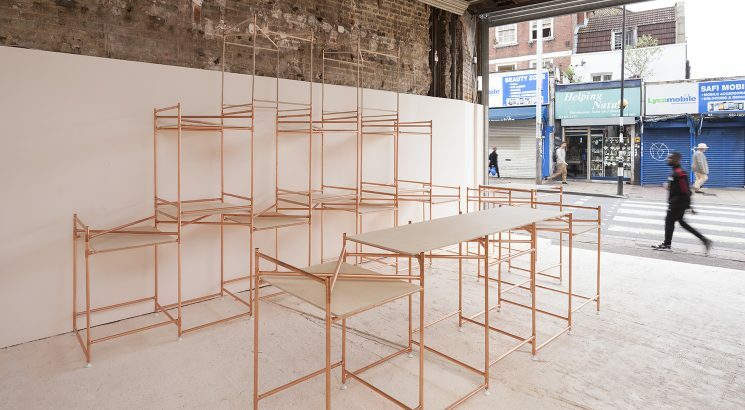 Studio Glowacka, working in collaboration with Eleanor Rennie Architects, has designed a modular display system for a summer popup ‘Market’ in Peckham, London. 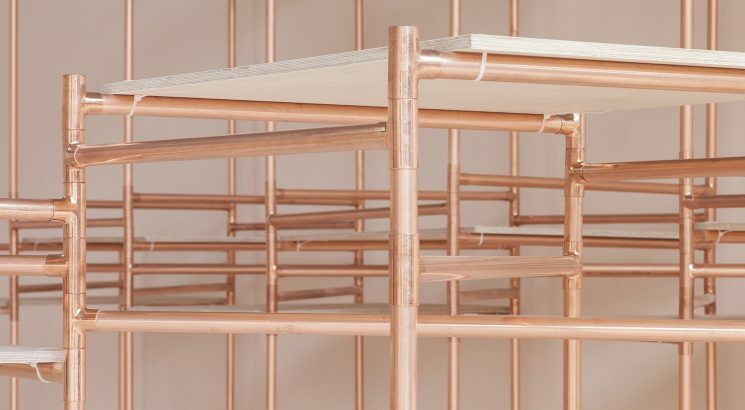 Standard copper equal tee sections, readily available from plumbing merchants, are used to join pre-cut lengths of copper tubes and ash dowels into repeating cube structures, which function as a framework for table tops, shelves or hanging display. Cubes can either tessellate or stack to form larger structures. 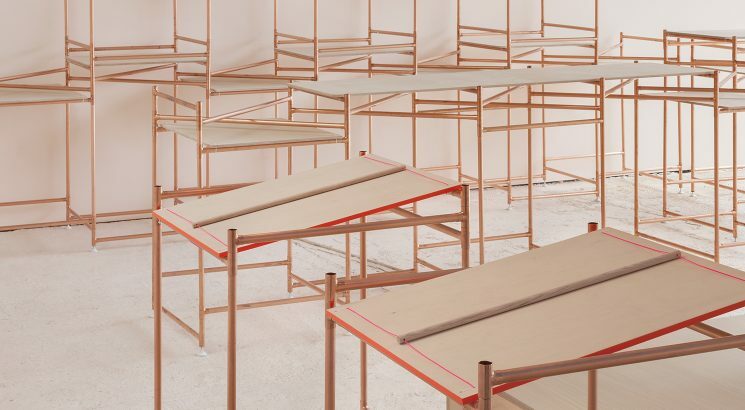 Birch ply is tethered with cable ties to the structure to create surfaces. 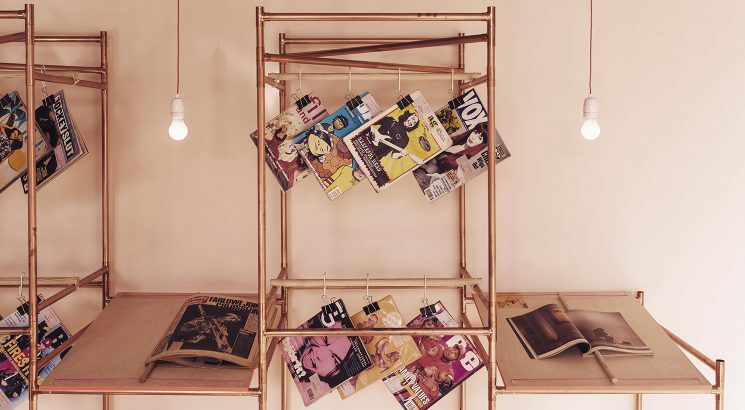 The ‘kit’ has been designed to be low-cost and quick to assemble. 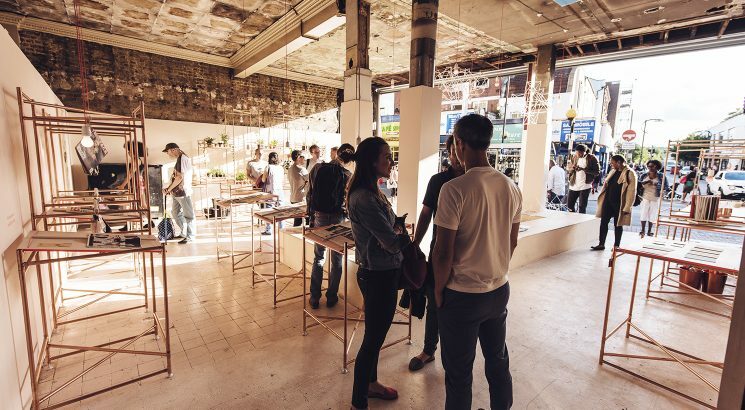 This modular system has been used at the street level, popup space for Market Peckham www.marketpeckham.com, to showcase some of the future uses of the building. 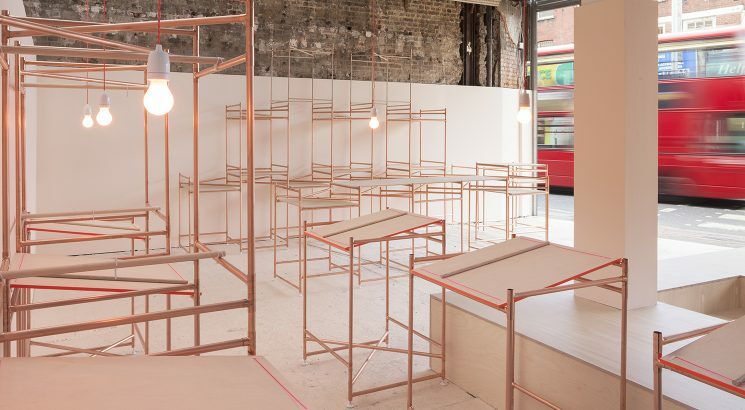 To work with the Market Peckham brand, the birch plywood surfaces, copper tubes and ash dowels are accented with flashes of fluorescent orange construction tape and orange braided flex. 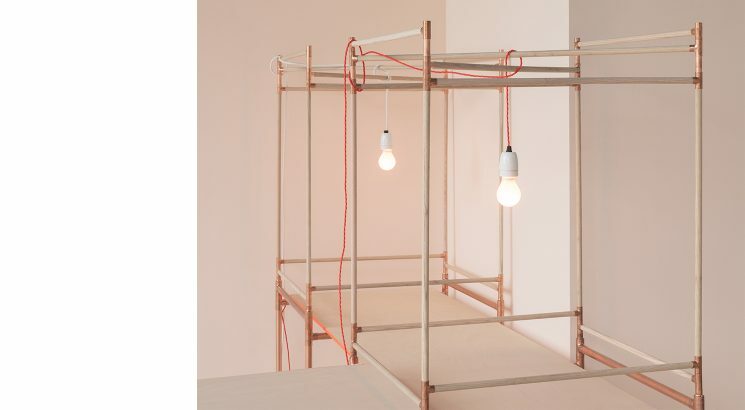 Pastel pink bulbs cast a soft pink glow onto the copper structures. 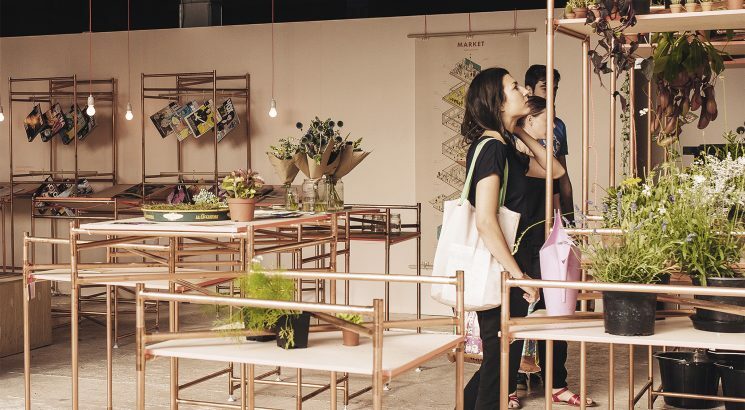 Each of the three popup uses – florist, magazine archive and ice cream stall – has distinct configurations of the display system. 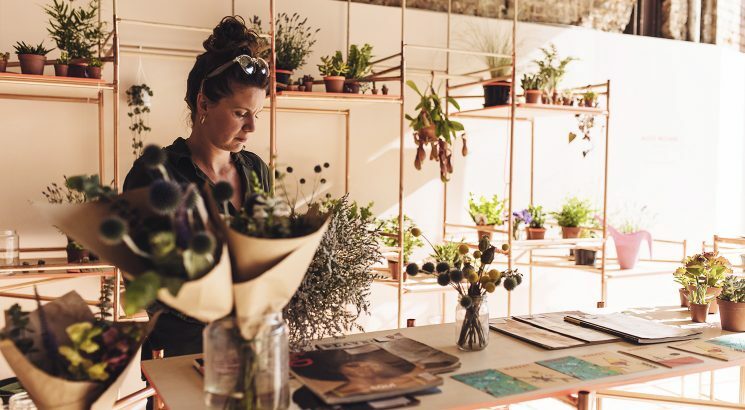 The florist has a long, ply table on which to create bouquets and a tall display shelf for completed bouquets and plants. 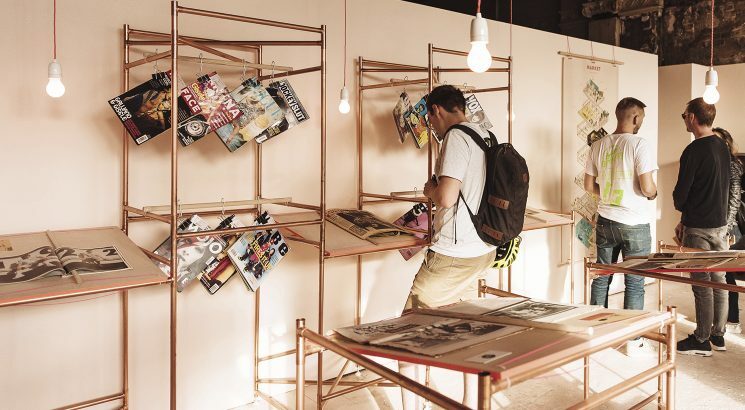 The archive has inclined ply table tops and a hanging magazine display and the ice cream stall has a snaking table top to create multiple serving areas. 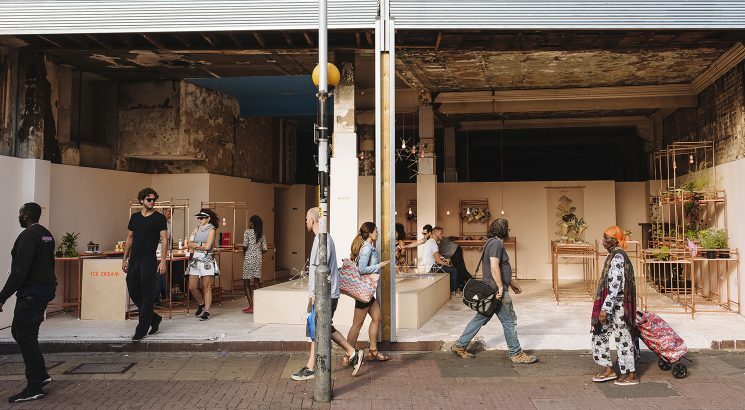 In the centre of the room, a birch plywood island provides seating and an area in which visitors to the popup space can create plastic straw chandeliers – the most imaginative chandeliers are hung on the pink bulbs overhead.